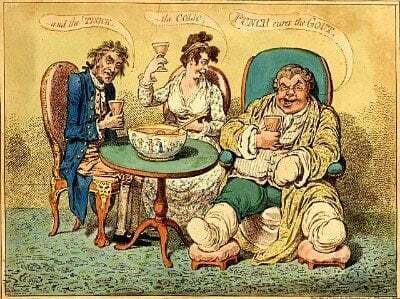 Orange Juice & Gout – Where’s The Proof? There are a few studies related to orange juice & gout. I have not seen a specific orange juice study on gout sufferers, but there is sufficient evidence to prove that orange juice lowers uric acid. What we gout sufferers need is a specific study on gout patients to show what sort of daily intake is most effective. If you are tired of lists of foods to avoid, orange juice has great potential for adding to your list of gout diet foods to eat. However, until we have some specific studies testing effects of orange juice on gout patients, I am not sure how strong a recommendation it deserves. The only investigation that is anywhere near a gout study is the Orange Juice and Gout study I reported last year. Unfortunately, this is a study on rats with induced gout. In 2003, a study into antioxidant properties of orange juice (Effect of orange juice intake on vitamin C concentrations and biomarkers of antioxidant status in humans) also measured uric acid. From that, it is tempting to dismiss orange juice in favor of vitamin C supplementation. However, subsequent studies have suggested other properties of orange juice that could have significant benefits for gout sufferers. Gout sufferers have a higher than normal risk for kidney stone formation. In 2006, a study investigated the potential for orange juice in the management of kidney stones (Comparative Value of Orange Juice versus Lemonade in Reducing Stone-Forming Risk). 13 volunteers drank 1200ml orange juice, split into 400ml 3 times a day with meals. During different phases of the experiment, orange juice was swapped for water or lemonade. Each drink was tested for a week, in random order. The orange juice phase consistently resulted in lower calculated undissociated uric acid, which lowers the risk for kidney stone formation. Because an increase in urinary citrate and pH could provide protection against calcium and uric acid stone formation, orange juice but not lemonade potentially could play an important role in the management of recurrent nephrolithiasis [kidney stone formation] and may be considered an option in patients who are intolerant of potassium citrate. In 2011, a study into blood pressure lowering properties of orange juice (Hesperidin contributes to the vascular protective effects of orange juice) also measured uric acid. 24 volunteers drank 500ml orange juice, split into breakfast and lunchtime. This was during one of three 4-week phases, being alternated with a control drink (22.5g sugar in 250ml water) plus hesperidin or a placebo. The researchers noted significant reduction in the concentration of uric acid after 4 week orange juice consumption. As you see, there are strong indications that orange juice should be added to the guidelines for good gout foods to eat (or drink, in this case). However, without specific studies on actual gout patients, we do not know if conflicting factors might reduce its effectiveness. As a safe gout diet component, there’s nothing to stop you trying your own experiments at home. Try alternating 500ml orange juice in your diet to replace some of your water intake. Test uric acid and compare 4 weeks of water against 4 weeks water with orange juice. Please share your results in the gout forums.